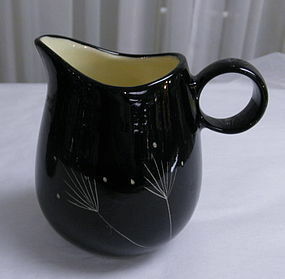 California Vernon Kilns "Imperial" pattern, sometimes called "Show Stopper" creamer in ebony black. 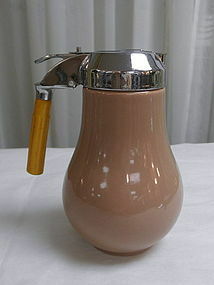 The shape is San Clemente (Anytime) produced in 1955-56. 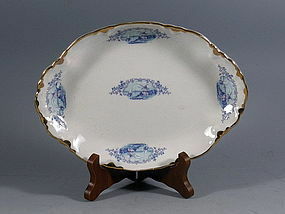 It measures 4" at highest and is in excellent condition! Please note the photo is picking up a lot of reflections, it is in excellent condition. 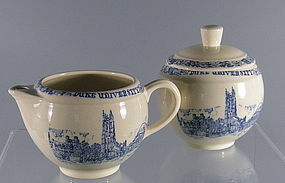 A very early and rare, Vernon Kiln of California ewer. 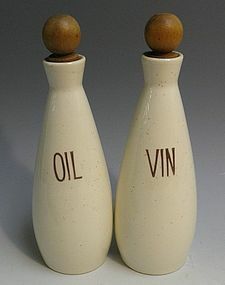 It is marked Vernon, California and dates 1920s-30s. 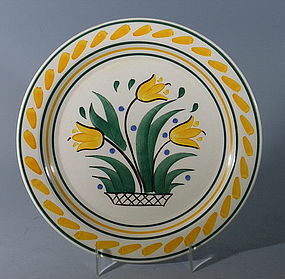 There is a small fleabite on the lip, otherwise in very good antique condition. 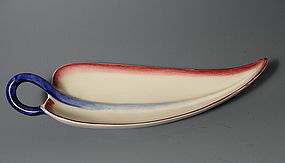 A fantastic piece for the collector, it measures 10" high. 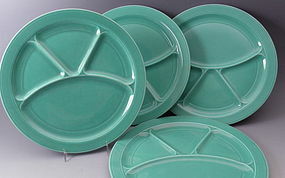 A mid-century set of 4 Vernon Kiln "Modern California" turquoise grill plates measuring 11" in diameter. In very good condition, they date from the 1950's. 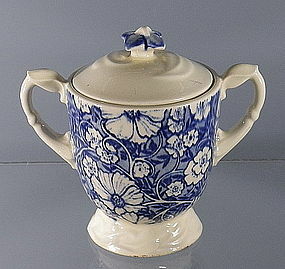 RARE Vernon Kilns blue Blossom Time pattern sugar bowl with lid. The lids finial is a blue painted flower. 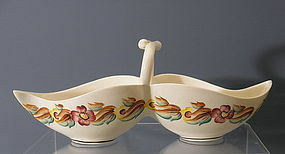 In excellent condition, this pretty floral piece measures 5" high with lid. 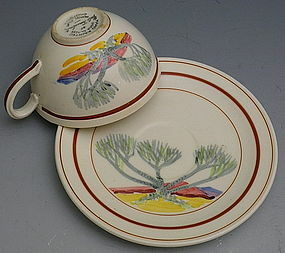 Rare Gale Turnbull hand painted Vernonware T-670 plate, Vernon Kilns of California. 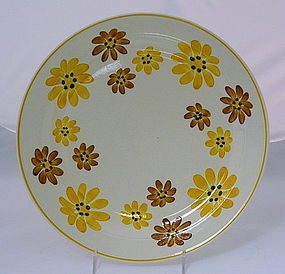 Bright colors, excellent execution and in excellent condition, this plate measures 8.5" diameter. 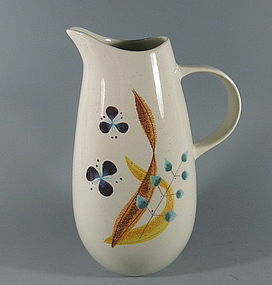 Large mid century 9" Frolic pattern Vernonware pitcher from Vernon Kilns. Has a spattered background and designs on both sides. 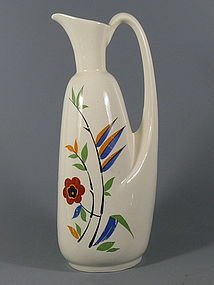 In excellent condition, it measures 10" tall and 6 1/2" from handle to spout.